How to save messages from iPhone to computer to read? How do I save messages from my iPhone to computer to read? How to save messages from iPhone to computer so as to access and read? This article will help you to transfer all messages from iPhone to computer. I want to be able to back up and read my text messages from my iPhone to my computer and/or my iCloud account in an organized fashion. I realize that iTunes backs up all my iPhone data, but it does not keep the text messages in a way that are easily accessible. What is available to solve this problem without paying extra money for an additional program or app? Isn't this something Apple should have thought of and made as intuitive as the iPhone, itself? Quite obvious. This user needs to save messages from iPhone to computer aimed to access and read those messages timely. It is quite easy to back up all iPhone data with iTunes or iCloud, however, when you want to access and view what's been backed up, it is quite hard. Don't panic. I have a method to help you save messages from your iPhone to computer just for reading. When it comes to iPhone messages transferring to computer, the best software which can help you make it is iFonebox, which is a professional iPhone messages recovery software allows you to transfer all messages from iPhone to your computer. 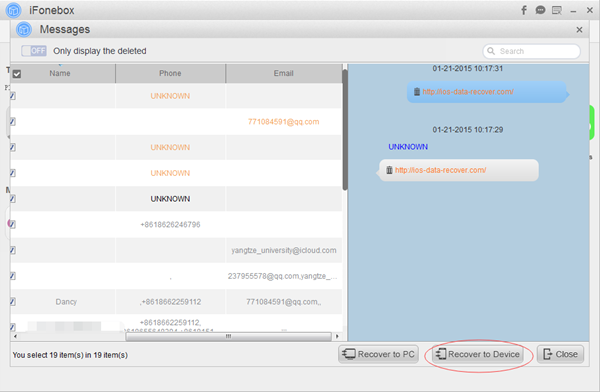 Besides, it is a great help to recover deleted contacts, notes, messages, whatsapp messages, etc, from iPhone and iPad. Also, if you want to read and restore data like messages from iTunes or iCloud backup, iFonebox will also be your best choice. 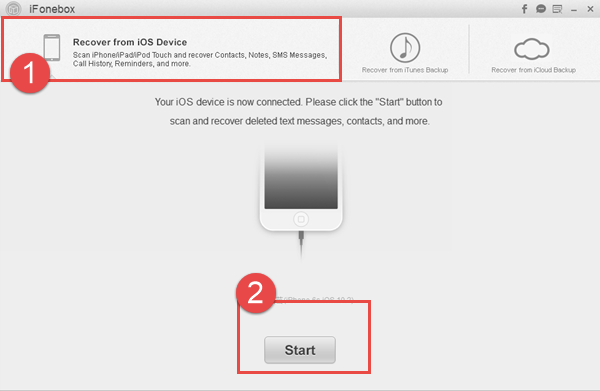 One more thing, you can transfer recovered messages back to your iPhone or iPad directly, just as contacts and notes. Next, I will show you steps to save messages from iPhone to computer to read. But before that, you should download and install iFonebox on your computer. There are two versions optional: Windows version and Mac version. Launch iFonebox. Choose Recover from iOS Device mode. Please plug in your iPhone to the Mac with USB cable so as to scan and save messages to computer. Once connected successfully, your iPhone will be detected by iFonebox. Click Start button to begin. Preview and select messages to transfer. Now you can pick out all those messages you need and then, click Recover to Mac button to transfer all to your computer. 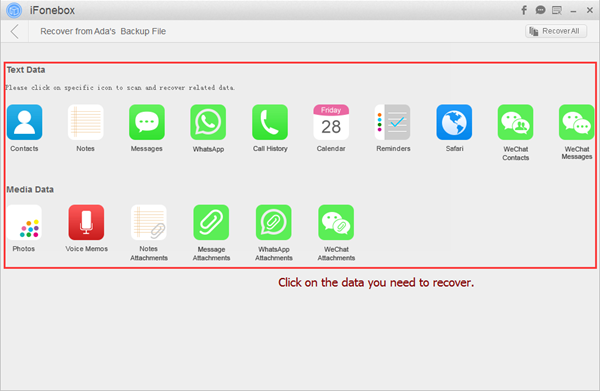 If you have an iTunes or iCloud backup for your messages and you need to read them, just choose Recover from iTunes Backup or Recover from iCloud Backup, iFonebox will also extract those messages for you to view.